Trust us, it's wheelie, wheelie good. It's easy to imagine how Joe Danger Touch could have gone horribly wrong. 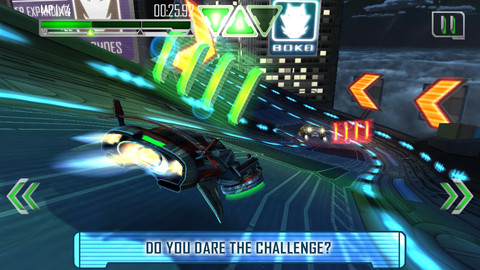 Had Hello Games chosen to simply port over one of the hugely popular XBLA or PSN versions, complete with acceleration and braking controls, and all of the other button-sensitive commands necessary for delivering its brisk and colorful arcade racer to mobiles, frustration would have been inevitable. 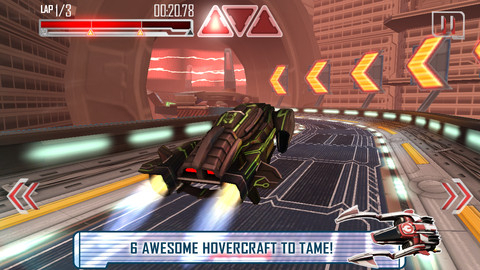 Instead, the sensible decision to make a virtue of mobile and tablet touchscreens has paid off magnificently, and resulted in a game that's faithful to the traditional Joe Danger experience, while at the same time offering something fresh and different for the mobile crowd that will win over even the most hardened of touchscreen cynics. For those unfamiliar with the series, you take on the role of Joe himself as he spins, ducks, leaps and flips his way through a series of fixed races. 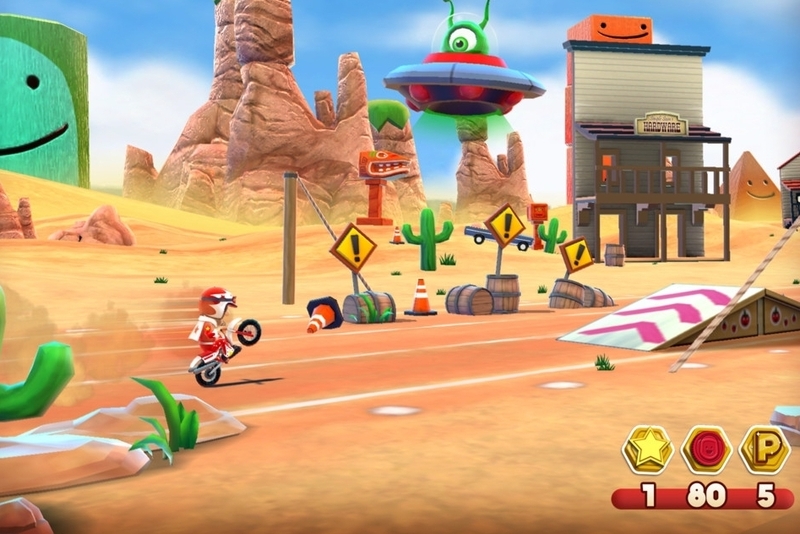 Each of these levels is populated with a variety of obstacles, from slushy mud that slows him down considerably if you don't wheelie him straight through it, to loop-the-loop platforms, whizzing fans which send him hovering into the sky, and plenty more besides. In this Touch edition of the game, that means you're relying on careful finger-swipes, presses and ever-so delicate timing to pull off a triumphant run and earn challenge badges. You might have to time every jump over an obstacle perfectly, for example, or gather every coin on the stage to get a badge. The presentation of the game is perfect, and every marker that delineates these moments of perfection is unambiguous - you'll never be cheated out of a perfect run by the game. Those badges you earn are used to unlock new level pack stages, and while you might need to go back and finish off a few earlier challenges from time to time, the game is very generous when it comes to gating its content. It's just another example of Hello Games putting fun front and center, rather than artificially road-blocking content so as to drag you to a coin store. Have no doubt there's the lure of perfection for those who crave it, but it's paced effortlessly alongside the need for players of all capabilities to explore and enjoy the enormous amount of content on offer here. The challenge of the game wastes no time in getting considerably trickier too. 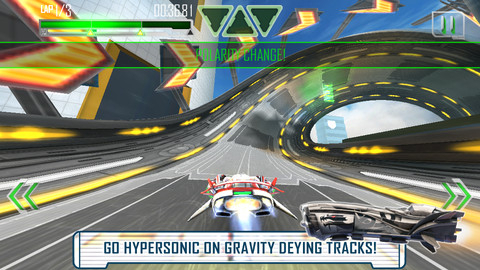 Early levels do a grand job of introducing you to the different obstacles in the game, whether that's ducking to avoid a nasty bump to the head, or carefully using fans to adjust Joe's height as he passes through the course. Wonderfully, and once you've passed through the first couple of level packs, these obstacles are blended together perfectly, providing a very satisfying challenge that's not unlike the gaming equivalent of patting your head and rubbing your tummy simultaneously. As well as plenty of levels to work your way through, there's also a wide range of playable characters and costumes to unlock with the coins you collect. Each one offers a different stat bonus, so additional replayability can be had from simply experimenting with the different character types to eke out that elusive perfect run. Completionists will certainly be kept busy for some time as they tease out every last drop of content from the game. 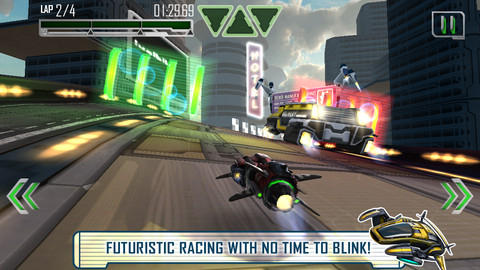 Joe Danger Touch represents everything about mobile gaming at its best. It's faithful to an established franchise, yet it strikes out on its own to provide a game that's as slick as its console counterpart, remains challenging but fair, and is always entertaining thanks to a deep system of replayability. We're only ten days into January and we've already got our first five star game on Modojo. Here's hoping the rest of 2013 can live up to Hello Games' challenge. Editor's note: A minority of fourth-generation iPad owners have reported problems loading the game. We've contacted Hello Games this morning who have confirmed that an update fixing the issue will be submitted to Apple very shortly. No other devices are affected. What's Hot:An outstanding entry in the Joe Danger universe with fantastic visuals, a different sort of challenge, and a huge amount of content that will keep you busy for weeks. What's Not:Very occasionally you'll need to go back and repeat content to get badges, but this represents straw-clutching at its finest.